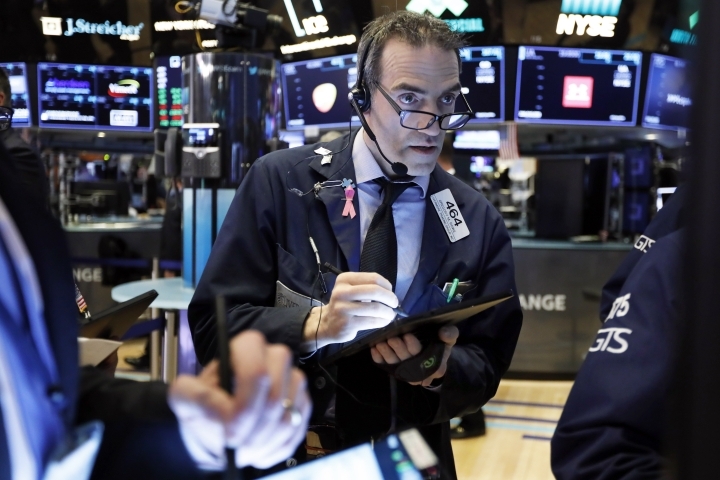 The Dow Jones Industrial Average rose 138.93 points, or 0.5 percent, to 25,848.87. The Nasdaq composite climbed 57.62 points, or 0.8 percent, to 7,688.53. The S&P 500's gain was 14 points, or 0.5 percent. Investors appear to be encouraged by reports that the U.S. and China could be making progress on critical negotiations aimed at resolving a trade war between the world's two biggest economies. China's congress endorsed an investment law that aims to address complaints, particularly from the U.S., that China's system is rigged against foreign companies. The U.S. claims China has forced companies to share technology in order to do business in the country. Shares in Tesla skidded 5 percent following the electric car maker's unveiling of its Model Y, a mid-size SUV that starts at $39,000. The unveiling comes as Tesla tries to expand into the mainstream and cash in on the red-hot market for SUVs.